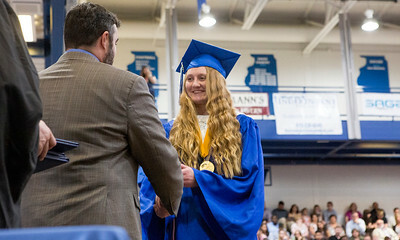 Mike Greene - For Shaw Media Class Valedictorian Shannon Fetzner receives her diploma during graduation ceremonies for Woodstock High School Sunday, May 21, 2017 in Woodstock. 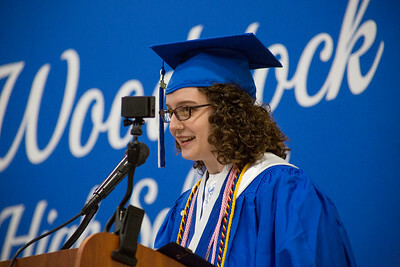 Mike Greene - For Shaw Media Kelly Read gives the senior reflection address during graduation ceremonies for Woodstock High School Sunday, May 21, 2017 in Woodstock. 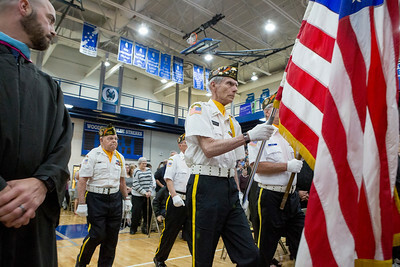 Mike Greene - For Shaw Media Members of VFW Post 5040 present the colors during graduation ceremonies for Woodstock High School Sunday, May 21, 2017 in Woodstock. 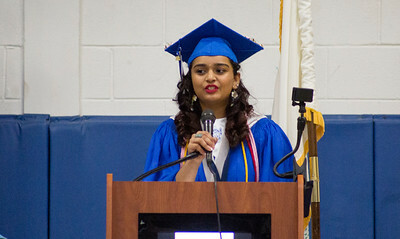 Mike Greene - For Shaw Media Class Co-President Pooja Patel speaks during graduation ceremonies for Woodstock High School Sunday, May 21, 2017 in Woodstock. 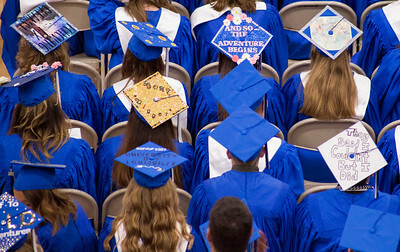 Mike Greene - For Shaw Media Rows of decorated caps can be seen during graduation ceremonies for Woodstock High School Sunday, May 21, 2017 in Woodstock. 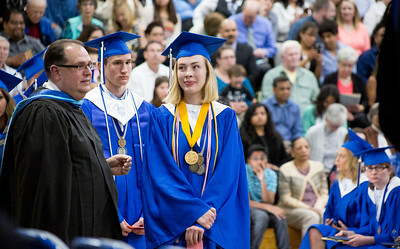 Mike Greene - For Shaw Media Class Salutatorian Kathryn Dawdy prepares to have her name called during graduation ceremonies for Woodstock High School Sunday, May 21, 2017 in Woodstock. 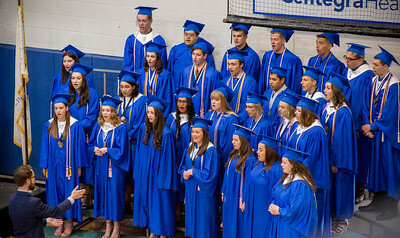 Mike Greene - For Shaw Media Members of the Senior Choir perform during graduation ceremonies for Woodstock High School Sunday, May 21, 2017 in Woodstock. 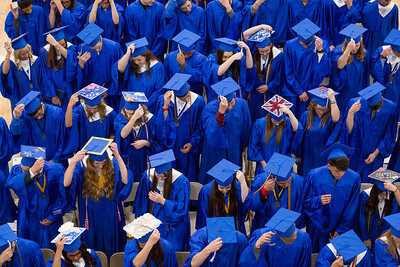 Mike Greene - For Shaw Media Students switch their tassels to the left during graduation ceremonies for Woodstock High School Sunday, May 21, 2017 in Woodstock. 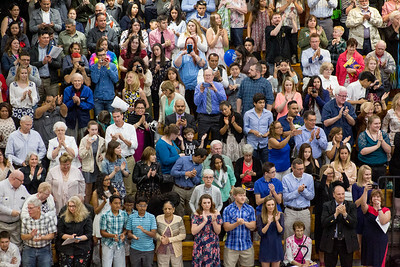 Mike Greene - For Shaw Media Members of the audience clap for the graduates during graduation ceremonies for Woodstock High School Sunday, May 21, 2017 in Woodstock. 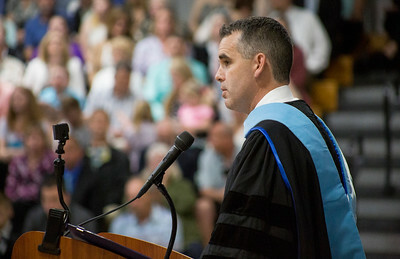 Mike Greene - For Shaw Media Principal Justin Smith addresses the audience during graduation ceremonies for Woodstock High School Sunday, May 21, 2017 in Woodstock. Principal Justin Smith addresses the audience during graduation ceremonies for Woodstock High School Sunday, May 21, 2017 in Woodstock.